This is a very important and useful book for web developers. There are total 7 lessons in this book. This e-book is very useful to understand the concept of web designing. 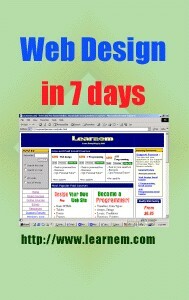 1 Response to "Free download eBook of WEB DESIGN IN 7 DAYS"